At MINExpo, end of September in Las Vegas/USA, SSAB presented a new overlay produc: the Duroxite overlay. 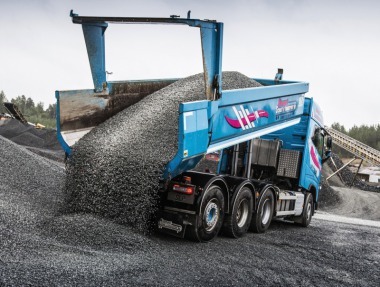 Hardox Wearparts now provides a holistic wear offering for end users. Offering both the industry leading Hardox® wear plate and now Duroxite overlay products; Hardox Wearparts can provide the best wear solution for their customers’ environment and applications. Duroxite comes with guarantees that are unique for the overlay market. Duroxite overlay products are delivered with an overlay thickness guaranteed within +10 %. This is consistent throughout the plate and from plate to plate. Further, consistent wear properties are guaranteed throughout the plate down to 75 % of the overlay thickness as opposed to just the surface of the overlay. The remaining 25 % of overlay is the transition layer necessary to maintain good bonding to the base plate. An optimal carbide composition ensures homogenous bonding between the base metal and overlay adding to the high wear resistance and long service life of Duroxite.